Day 28: Christmas Comes Early! We all slept as well as could be expected in the public park. With the spotlight over myself and Becky, it was tough to think it was night. I have been tired and needing to catch up on sleep. It’s just a cumulative lack of sleep over the last couple weeks because of these odd camp spots and having so much social interaction at camp. I’ve been going to bed later than I would on my own and starting the blogging later, so it just means less sleep. I’m trying to work on that, but am embracing this more social hike. We left the park at 7am (Heartbreaker left about 20mins ahead of us) and had a half day of walking to get to Hamilton. 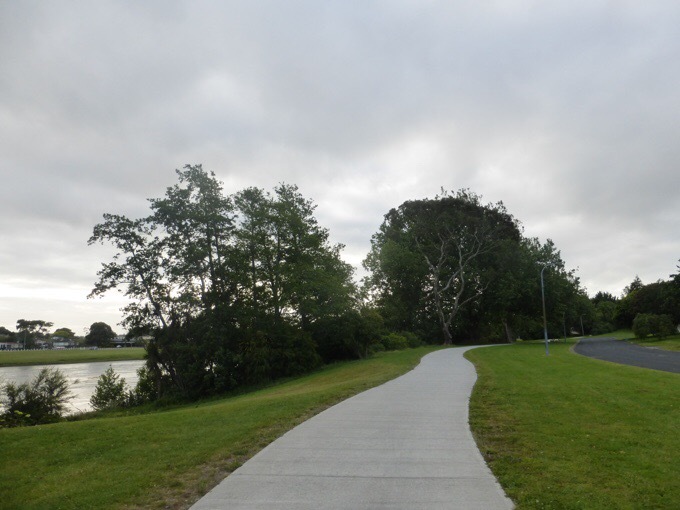 It was almost all a nice riverside walk along the Waikato River. 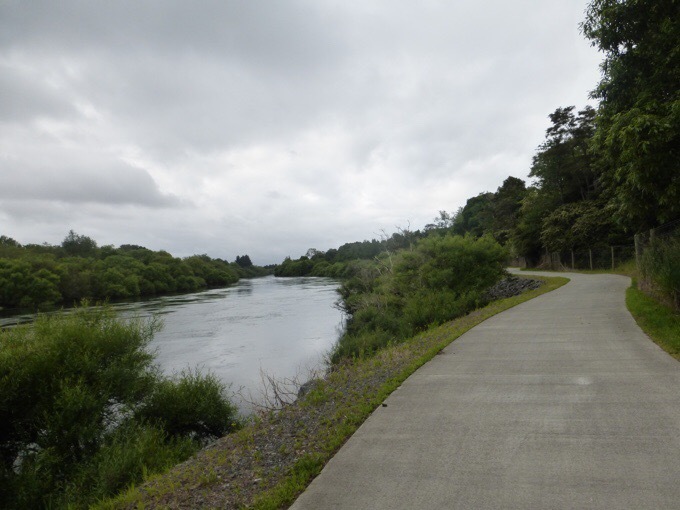 Riverside walk along the Waikato River. There was a brief bit of highway walking and then back to the river walk all the way to Hamilton. 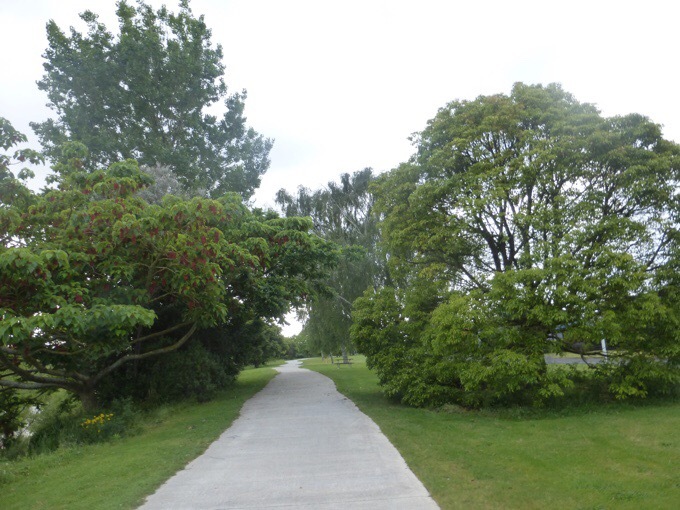 It was a wonderfully manicured path. 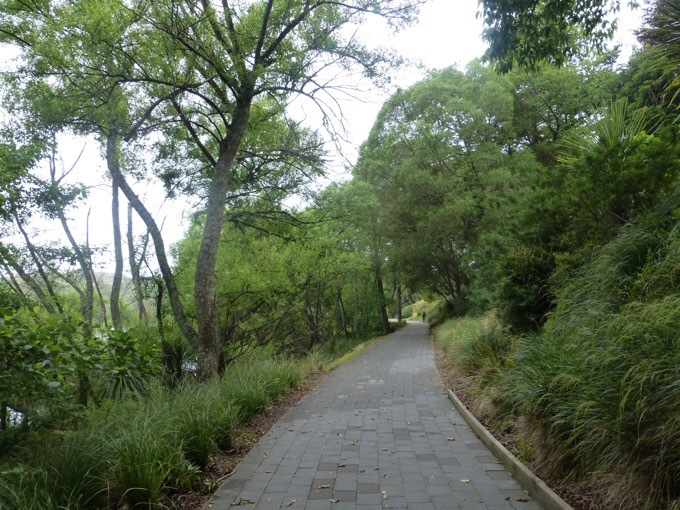 This last leg from Auckland, we had more of this nice nature path walking through towns. It has been nice to experience the towns this way. One cool thing I’ve noticed about the TA so far is that we haven’t needed to hitch into any towns. We have hitched once in town just to save efforts, but I like long trails that walk into the towns rather than requiring hitching. There’s a bonus to the TA and all this town walking on the North Island. It is also funny because I realized two other things this past leg from Auckland. One is that this is the only trail I’ve done that I’ve carried some travel shampoo. Before last night, we had a shower three nights in a row (we could have had four if we wanted it even). I’m showering more out here sometimes than I do back home, ha! When I first met Becky, she was carrying a lot of extraneous stuff, like a very big towel. Early on, I convinced her to ditch the towel and just use a shirt to dry off. That was before we realized how often we’d be showering, and it does come up quite often the joke about how nice it’d be to have a towel on this hike. Others have commented on it as well that this is the only thru-hike where a towel and shampoo would be worth carrying. Another thing I realized the other day was that I had used the bathroom outside of a toilet for the first time in like 5 days. 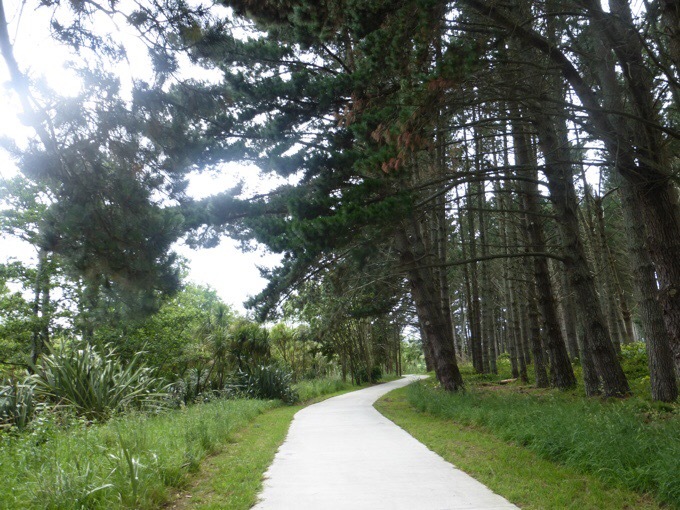 We were camping at toilets and passing them so frequently before and after Auckland that I didn’t even realize it. Just funny things that have been different on this hike. For some reason, this morning’s walk felt really slow for both of us. We just kept checking our progress to feel that we hadn’t gone far, but we actually had. We made it to town around 11am and did 12mi/20km, so that’s actually decent timing. We just didn’t feel like it for some reason. We joked that maybe it was too pleasant without enough stimulus and that the TA has brainwashed us to need to be around cars or have some path with obstacles like roots, mud, or tall grass. 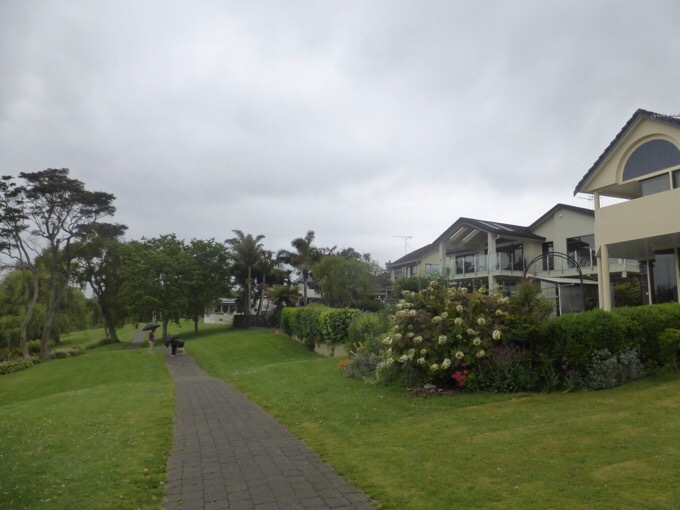 It was quite a pleasant and peaceful walk with really nice homes as we entered the bigger town of Hamilton. We both felt like we could just lay down and take a nap, which is unusual for both of us and a good sign that we are taking a zero tomorrow. We even stopped and just laid down for awhile at a picnic table. We just felt very relaxed and tried to reason why we were so groggy. There were a few theories and it may be a cumulative thing; less sleep each night at odd camp spots, a tiring day yesterday, overcast skies, muggy air today, mentally knowing we had a zero coming, and a high amount of pollen in the air that seems to be affecting others. Whatever it was, we were ready for town! The big news of the day is that Christmas arrived early for Becky and it was soooo fun! She has been carrying some pretty heavy gear. I can’t even guess, but she’s a beast to be doing the pace we’ve been doing the last three weeks with what she’s carrying! It’s been tough to watch her in these forests and on the steep climbs just gutting it out and exerting so much more energy than she’d need if she had lighter gear. I have a lot of my older gear back home, so we had my old ULA Circuit pack and my tent from my PCT 2011 hike, the Tarptent Contrail (now known as the Tarptent Protrail) sent over for Becky. The ULA Circuit pack was given to me as a gift many years ago, and since I’ve lightened to carry the Gossamer Gear Mariposa, I’ve been looking for someone to give it to who would really use it and appreciate it. My Contrail tent, I actually love and miss, but it’s just heavier than my ZPacks Solplex. Becky paid for the shipping, I’m giving her the ULA pack to keep, and letting her borrow the Tarptent Contrail tent for the rest of the hike. Even if we don’t end up hiking the whole trail together (we hope we do) I still want her to use those two things and I know it will make a huge difference in her pack weight. Tomorrow we will do a practice pitch of the tent and get a photo. To add to the gear excitement, a real Christmas miracle happened. 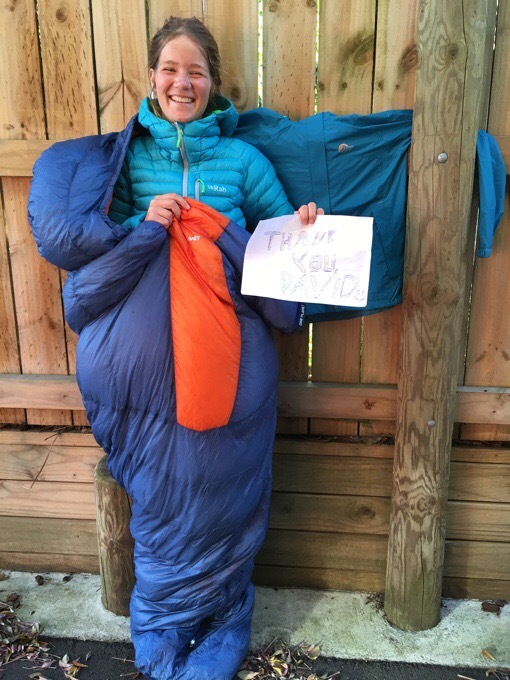 A very supportive long time blog follower of mine (David) offered to fund new gear for Becky! What a gift! David said to go ahead and shop for some more lightweight entry level gear for Becky. 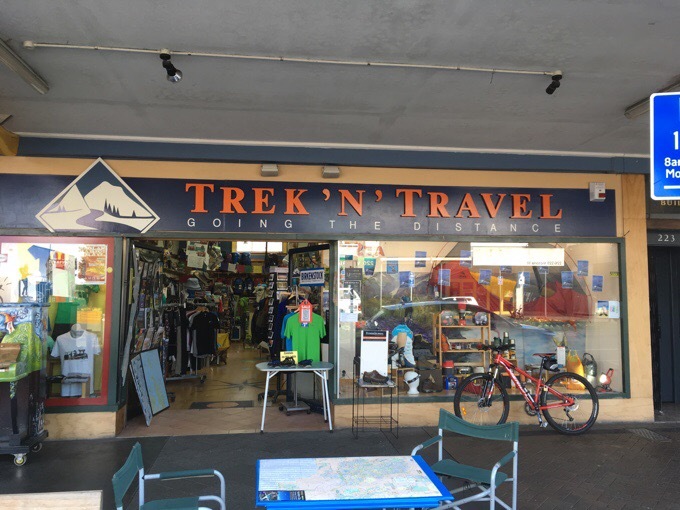 We went to an awesome local store called Trek ‘N’ Travel owned by Colin for the last 15yrs and he was great at assisting us. It can be difficult to find lightweight gear in New Zealand, and if you do, it’s super expensive because of how rare it is to find. We needed to decided if it was more affordable to buy something mid level here or to order it from the US and deal with the shipping. Colin gave us 20% off and that sealed the deal! We’ve made it to the town of Hamilton, 500mi/800km! It was so much fun and was more fun than if I was getting my own new gear. I never like shopping, but this was so much fun to do this for Becky! She doesn’t know gear at all and weights. She just bought what was affordable for her (she’s 20yrs old and worked two jobs six days a week for a long time to save up) before the hike and has been making it work. It was like our own mini shopping spree. Here’s what we got her. Remember, we were limited to the store and looking for that middle range of affordable and lightweight. 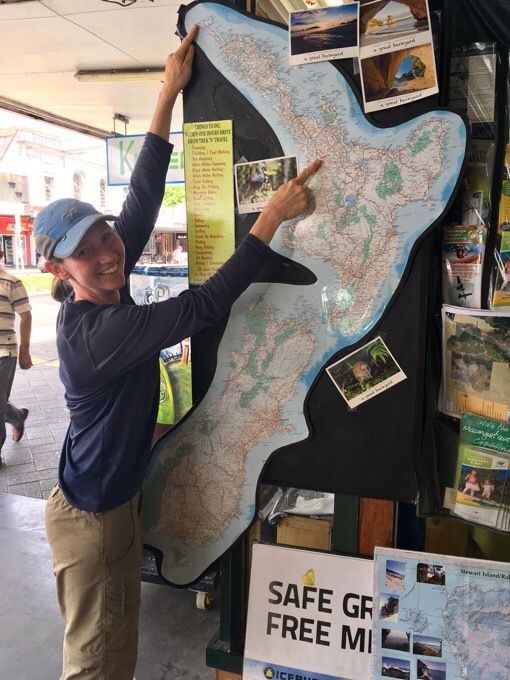 Yes, if we had all the time and resources in the world, we may have been able to get something else, but I feel like what we ended up with is really perfect for where Becky is at and what we could get here in NZ. Colin even threw in a free pair of Injinji toe socks! After the shopping spree, we checked into the Hamilton YHA Hostel (now called the Microtel). It’s a good deal at $30NZ/$22US. We got a room for three with Heartbreaker and it’s a tight fit, but a rare room that we have our own bathroom and shower, so that’s nice. We are right next to a busy road, and the bright light from the motel sign shines in. It’s hot and muggy so the window is open with all the sounds of traffic and passerby conversations. Classic. Angelynn is also here in the women’s dorm room. We all will zero tomorrow. Tomorrow is Angelynn’s big Skype interview with the United Nations in a position (she’s a lawyer) that would help to draft the new Law of the Sea Treaty/Convention. She studied up all day yesterday and today and practiced on us over dinner to get more comfortable with talking about it. We all learned quite a bit! Wish her luck tomorrow morning! One last note. 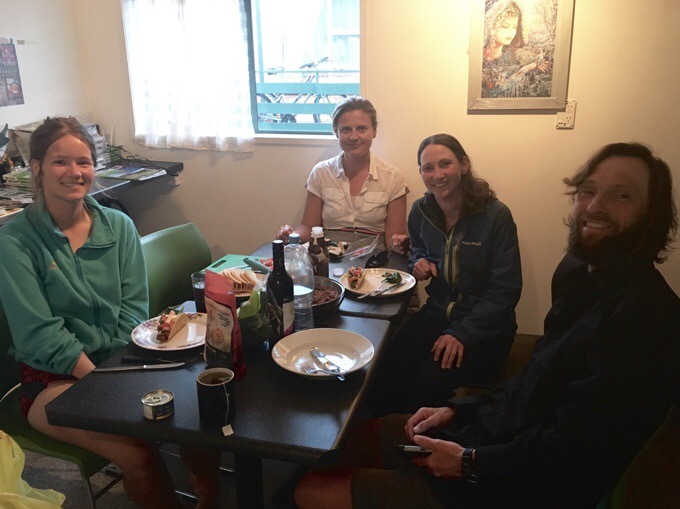 We made dinner at the hostel in the kitchen tonight and have enjoyed doing that in some of the towns. Becky and I made tacos tonight, which hit the spot. It was Becky’s first time ever having tacos. She really liked them, so fun! Also, we watched an episode of Survivor before bed and can’t wait to catch up on that and Grey’s Anatomy tomorrow! 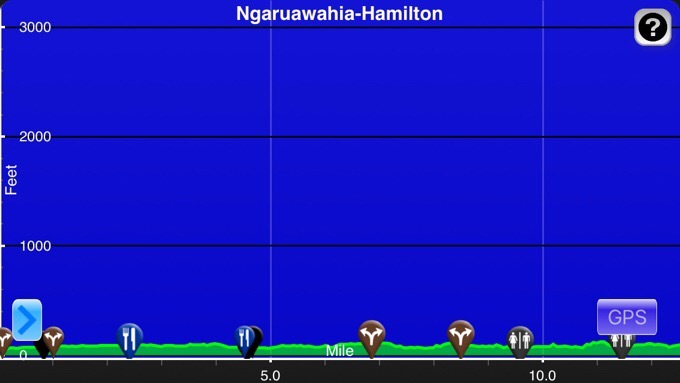 Once you’re south of Hamilton, you’ll have left around half the population of NZ behind you / north of you. Wow -you and Becky have struck up such a wonderful friendship -such kindred spirits , it seems . She’s amazing , and I love that so many of you have taken her under your wings . The challenges of this trail seem to shrink knowing that it’s become so social , and as you said ,more of a “vacation “. When you reflect on the experience in the ears to come , I’m sure you will still love it for alll the laughs and joy it brings you as you struggle with the mud and hills and traffic . I hope this zero day sees you regain some energy and sleep . I’m loving the direction this trail is taking you and loving your photos . Thanks for sharing even when you are so tired . I always laugh about the towel thing. Justin (my hubs) and I would never carry towel/shampoo on any other trail, but we found it to be a necessity in NZ! 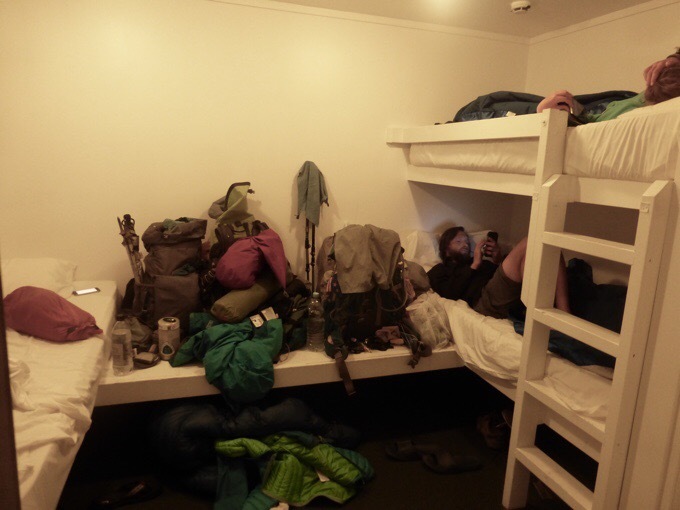 No hostels had towels or shampoo (except for 1 or 2), which was bonkers. We were carrying a pack towel the size of an 8×10 photo to share between us, but at least it was something. This post just makes me smile 🙂 TA’s the world over! I’ve heard it said you’ll remember the people more than the beauty on long trails, I think this partnership might be proving that right. Congrats on embracing the trail as it is. What an enjoyable post to read. Becky, you are really blessed with such good company and a new kit to help you enjoy your hike more. I hope this early Christmas really brings home the full experience for you. -Erin, you are so very blessed. And you are growing in areas that you were so uncomfortable in before. Must be a really great experience for you. Soak it all in! This made me smile! So many good people in this world! Aw, this post makes me sooo happy! So wonderful to see Becky so excited about her new gear 🙂 I love when the hiking community restores my faith in humanity a little bit. Thank you David for hooking up these two. Becky with the lighter gear and Wired with the challenge to keep up. A Tired Wired, she may even need to pick up a few soda’s along the way.. Really Awesome post Wired!! Enjoy your Zero!! Great post. What a crazy trail. Seems like you are either mired in mud and roots or on paved paths, nothing in between! Happy that Becky got lighter gear. Amazing gift from David! 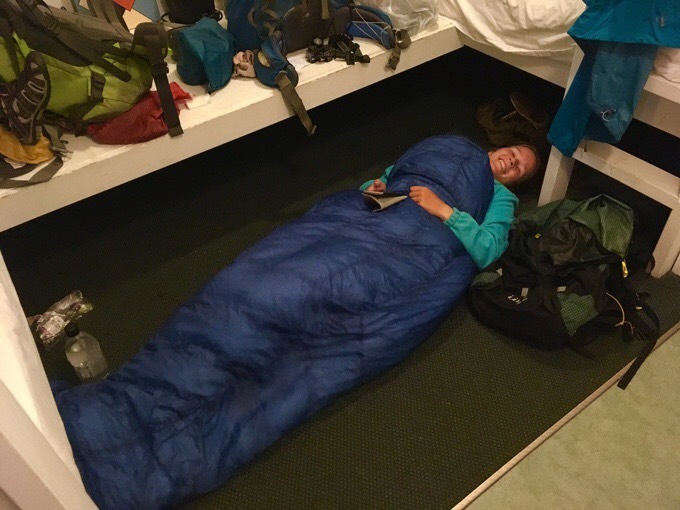 Since the tarptent was on your PCT hike, I am wondering what the tent will be thinking a few months from now on who is the better first time LD hiker. Have enjoyed your blog for quite a while. David is awesome! Go, Becky! Go, Wired! I know you watch your shows, Wired, but this is my daily fix! It must be so much fun to be able to pass on your hard-earned knowledge to someone who really want to learn. Such a feel-good post, and early Christmas for Becky, ⛺ for you and all of us reading. Becky will feel so light she may start bouncing like the Aussie kangaroos! I know, it’s better than getting new gear myself! I´m reading this post with a big happy smile… it´s just awesome! I smiled so big when I read this! You and David are so so generous and these gifts will leave a lifelong mark on Becky. You have made her so happy!